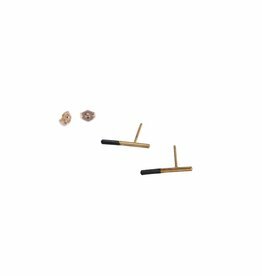 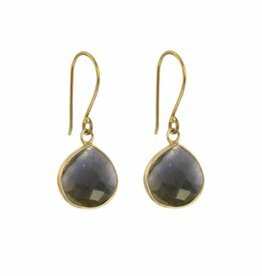 Faceted cab-shaped stones are set in brass to dangle sweetly from the brass ear wire. 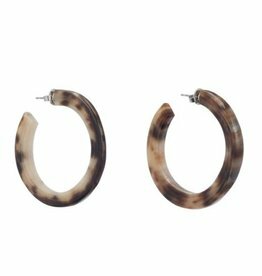 Natural buffalo horn flat circle on post. 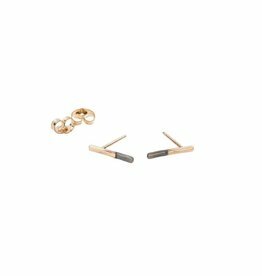 Buffalo horn is a natural material, each item has a unique character and may vary from image. 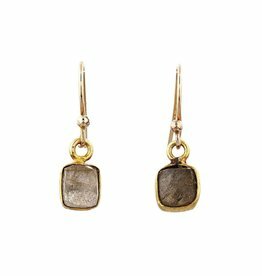 Handcrafted faceted labradorite square wrapped in 18K gold plate ribbon on 14K gold fill french hook earwires. 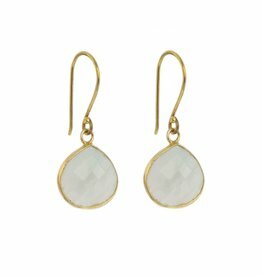 1/2" drop. 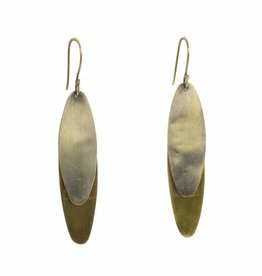 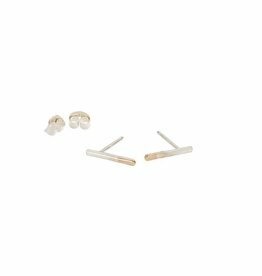 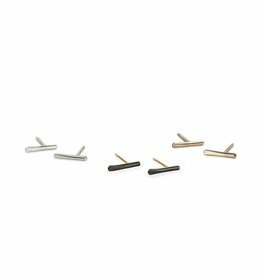 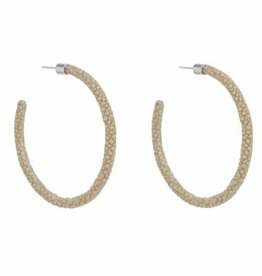 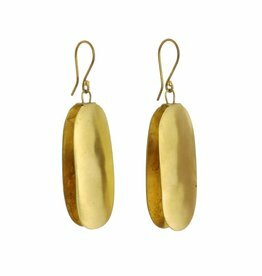 Simple forms are doubled up in mixed metals to create these comet-like earrings. 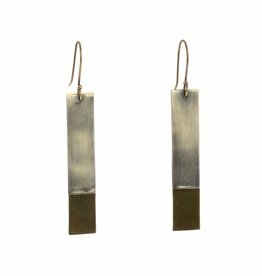 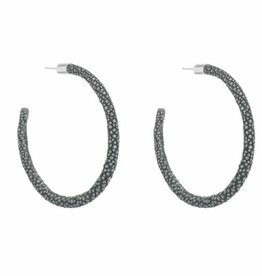 Geometric forms are doubled over to create a statement brass earring collection. 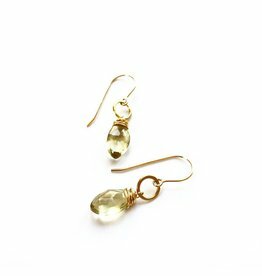 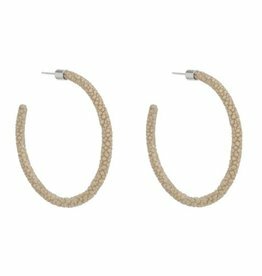 These rutilated quartz earrings are subtle, but impressive. 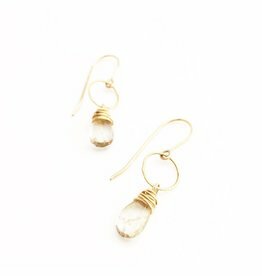 Golden spindles, or "rutiles" hang suspended in translucent quartz. Perfect for everyday wear, rain or shine. 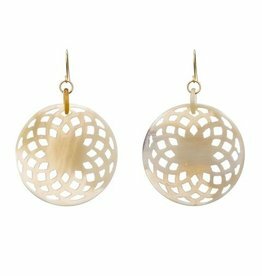 Filled with sunlight. 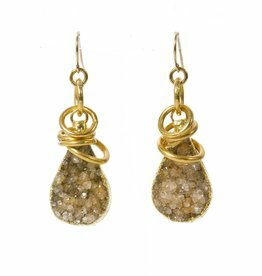 Lemon quartz briolettes with gold fill hammered hoops. 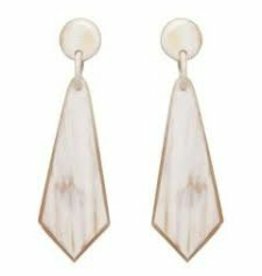 Long and lean. 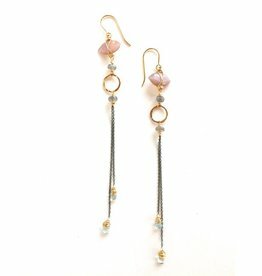 A delicate trail of pink moonstone, labradorite, hand soldered gold fill rings, oxidized sterling silver and aquamarine. 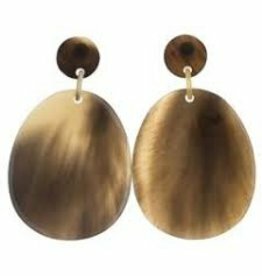 Genuine buffalo horn carved disk earring on gold plated wires.